Their California take on dim sum offers casual, seasonal variety, with small plates wheeled between the tables. 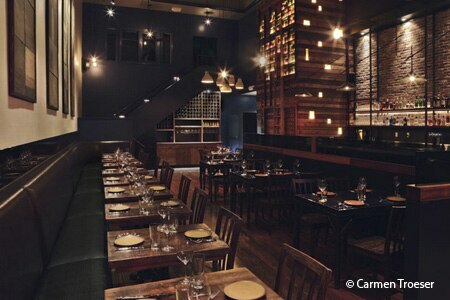 Review and rating of State Bird Provisions restaurant in the Fillmore District. A high-end British brasserie from the folks who brought Marlowe and Park Tavern to San Francisco. Recommended dish: Berkshire pork loin. 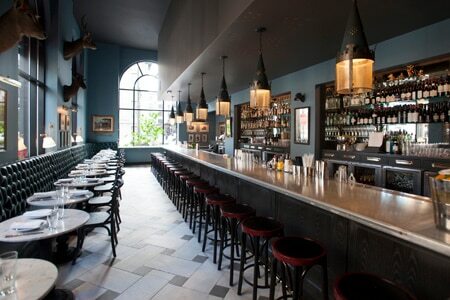 Review and rating of The Cavalier restaurant in Union Square. 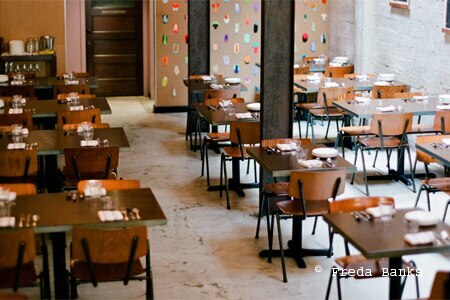 This strikingly designed restaurant has quickly endeared itself to San Francisco’s style-savvy crowds. 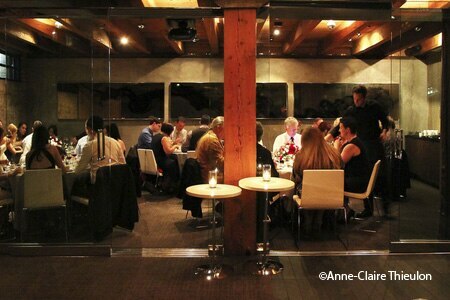 Review and rating of Twenty Five Lusk restaurant in SoMa. Sean Baker’s flair for produce at this Russian Hill hotspot might just convert even the most fiercely vegetable-averse. Recommended dish: Sprouted-seed bread with chèvre. Review and rating of Verbena restaurant in Russian Hill. Gorgeous views, bold flavors and a whimsical interior have made Waterbar a seafood-lover’s dream. Recommended dish: Seared halibut with black chai and cashew couscous. 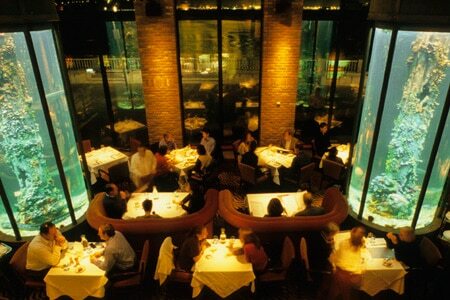 Review and rating of Waterbar restaurant in Embarcadero.